Absi Combo Trophies are highly customizable; they could take many shapes and are available in various materials and sizes. Truly unique, these trophies often incorporate several highly finished elements to produce artistic awards the recipients will treasure forever. 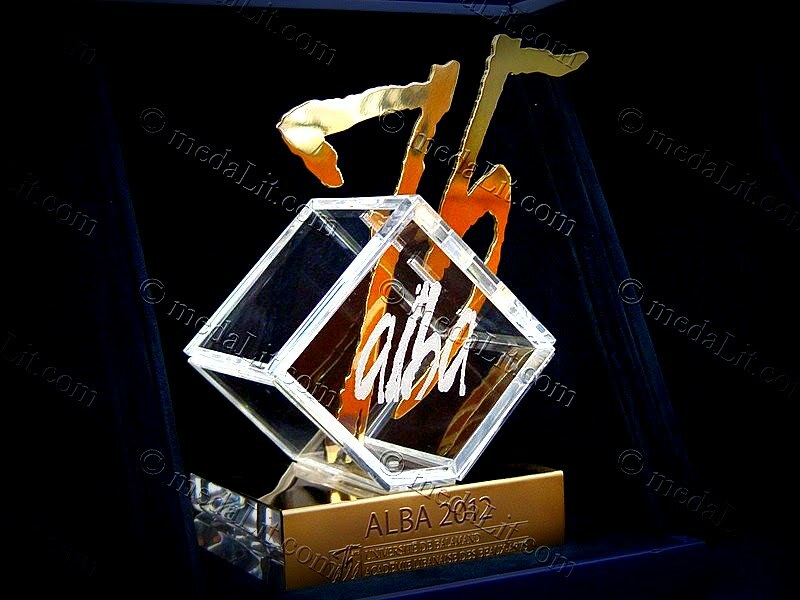 Absi Combo Trophies are custom-made and exclusively designed for particular events or people. This makes every Combo Trophy unique and valuable. Combo Trophies are made to embody ingenuity of your design. Elements of Combo Trophies are made from different materials: brass, stainless steel, acrylic, glass, wood or others. They take various shapes and sizes. Cubes, spheres, cylinders and other shapes of different dimensions and material constitute the building blocks of our combo trophies, use your imagination and choose any arrangement of those basic elements and we can put it together to create your trophy. You can either send your own design and specifications or you can depend on us to create a suitable trophy for your special event. Our capability of producing different types of engraved brass and stainless steel plates in addition to high quality medals with a variety of finishing and styles, all can be utilized to spice your trophy and transfer it to a masterpiece of art.